The Pueblo Municipal Band would like to thank our generous contributors for helping us to keep this valuable musical legacy alive. 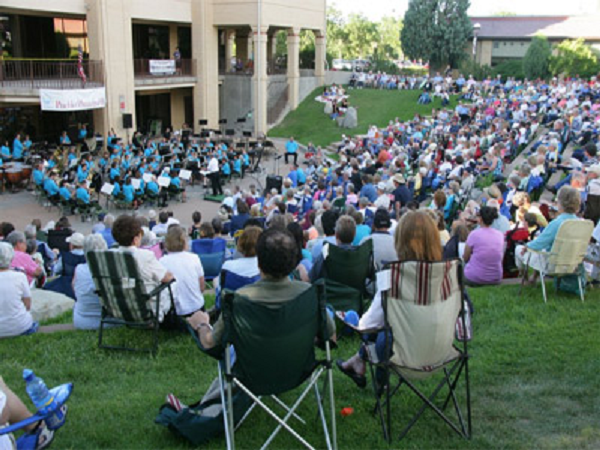 The Pueblo Municipal Band belts out a tune during a Sunday evening concert to an appreciative crowd at the PCC Amphitheatre. The Pueblo Municipal Band would also like to thank the many unknown and unrecognized members of the audience who graciously contributed to our "donation cans" at our concerts!